Where Reality & Fantasy Get Confused : #LHHATL Married Or Not, Who Cares? There are so many crazy scenarios going on with Love & Hip Hop Atlanta, it's hard to focus on one main problem. However, there is one storyline that cast is trying to hold on dearly to. It is whether or not Joseline Hernandez and Stevie J. are married. But who cares? Well duhh, MiMi cares. When Stevie J. first appeared on the show he was with MiMi. They had shacked up so long that a baby had come into the picture and he was living off of her. Even though no rings had been bought, they might as well have been in a certified faithful union. Well, MiMi was in one anyway. Stevie was cheating on her with Joseline, but he didn't just cheat. He muddied up MiMi, tried to drown her, and even tried to make her play a side chick role. And that is the problem with not being married. Another woman can come in, convince him right out of what he has been calling home, and there are no court documents to tell him what he is doing is wrong. He didn't take any vows with MiMi, so he was free to walk. Side Note: The Millionaire Matchmaker did an episode where she hooked up two of NeNe Leakes' friends. During an episode of Arsenio Hall she also admitted that all the men with kids told her they had purposely avoided getting married to the baby mamas. However, so many people are shacking up now. We have all the baby mamas being created with lack of condom usage. There are the successful single mothers. Then there are the couples that are making no plans to get married and they are happier than ever. Oprah Winfrey, for example, has no plans of ever signing papers with Stedman. The couple around the corner from you are cool too as long as their families don't start forcing wedding details on them. 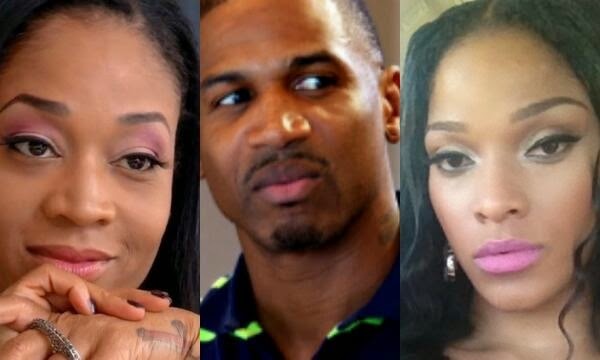 Shacking up has become normal, so who cares if Stevie J. and Joseline are not really married? MiMi shouldn't. I really don't.